Michelle Williams is widely regarded as Tasmania’s premiere resident dancer, having studied all styles of dance to competitive and professional levels. Michelle had her first taste of showbiz at the age of eight as a regular performer on TAS-TV’s children’s program ‘Coming Up Next’ which led to appearances on both Young Talent Time and Countdown. After performing in the Palladium Theatre Restaurant from the age of 14, she went to study dance in Melbourne, followed by professional work in Japan for 3 yrs including an appointment at Tokyo Disneyland. Michelle was a member of Rhonda Burchmore’s ‘That’s Dancin’ ensemble, touring to Sydney and Melbourne. Michelle’s music theatre credits in Hobart have lead to her being cast in many of Hobart's leading and supporting roles, including Anita in West Side Story, Eponine in Les Misérables, Lily St Regis in Annie, Nellie Forebush in South Pacific, Mimi in RENT, Rumpleteaser in CATS, and, most memorably, the lovable and irrepressible Charity Hope Valentine in Sweet Charity which she achieved nightly standing ovations and accolades for her performance as the singing, dancing and acting Charity. Michelle is a dazzling storm of movement, passion and inspiration and pure star-power in the Hobart theatre and dance world. 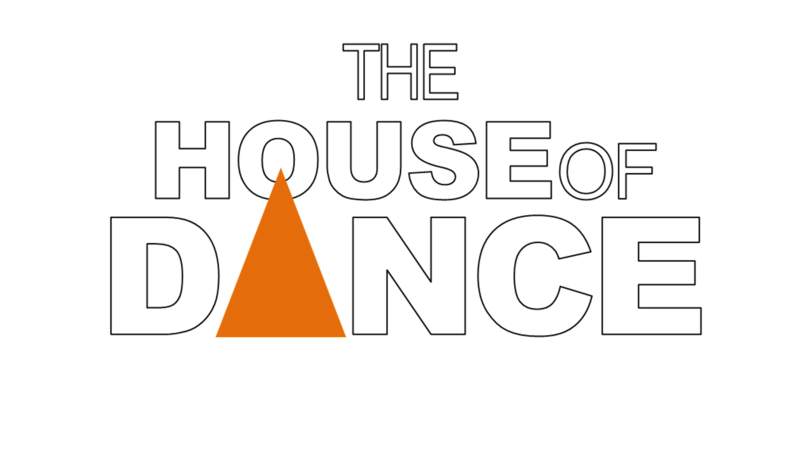 Michelle is the owner and principal of the hugely popular and successful House of Dance and opened the doors on the business in 1999 which has over 400 students. Michelle brings energy and excitement to her dance classes in a way that only she can. Her toddler program Baby House is the driving force for pre kinder dance in Tasmania, teaching baby ballet, jazz and tap. Michelle is a driving force in the performing arts in Hobart-organising some of the biggest workshops and masterclass ever attended by local dancers. Her Mayhem Workshop series has seen her collaborate with some of AUSTRALIA"S finest choreographers & young performers such as Jason Coleman, Marko Panzic, Stephen Tannos, Cat Santos, Talia Fowler, Paul Malek, Yvette Lee, Phillipe Witana and more. Nerissa started dancing at the ripe age of 6 at Cameo in Launceston, before moving to Hobart at the age of 10. Her biggest Hobart dancing influence was Jill Barron with whom she danced with for 8 years and worked as an Assistant Teacher. From a young age Nerissa always had a preference for tap and September 2017 marks her 25th year of teaching this genre. 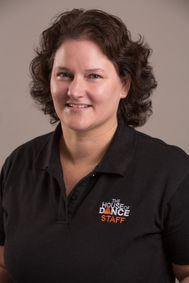 Nerissa was the tap teacher at Time Zone Dance School from 1993-2000 and then moved to House of Dance where she has been the resident tap teacher up until now in both studio locations. Nerissa’s tap routines and tap solos have won many awards over the years and she instills good tap technique into all her students from a young age. Nerissa took over the administration and office role at HOD in 2010.....where she balances this and her Junior tap teaching. This year will mark Nerissa’s 25th Eisteddfod year as a tap teacher in Hobart.What an achievement! Kate is one of Tasmania’s leading lyrical/contemporary teachers and choreographers -having won numerous awards for her solo choreography and troupe performances. Kate spent her early dance days training at Hobart Dance Academy under the guidance of Ken McSwain. Kate spent 2 years studying full-time at Dance World 301and Patrick Studios Australia in Melbourne, after which she spent a further 2 years working professionally in Melbourne and abroad. 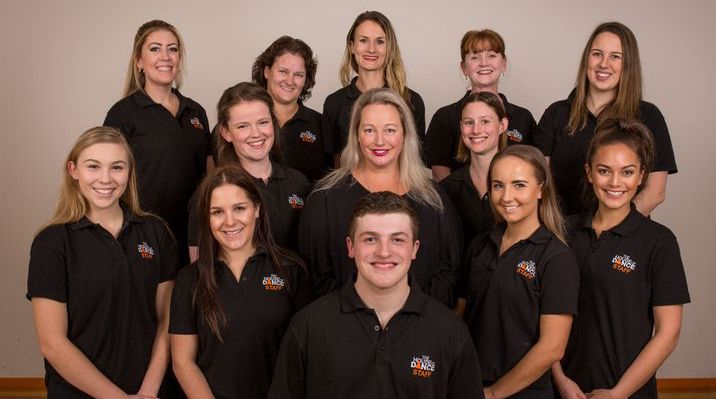 Having always had a passion for teaching and deciding that Hobart was “home” Kate returned and found a beautiful dancing family at House Of Dance where she has taught students to pre professional level. Her favourite part about the job is seeing her students improve from week to week and watching them step outside their comfort zones in order to enhance their performances. Kate is also a qualified Personal Trainer and Pilates Instructor and has a keen interest in health and nutrition. Shayne Davies is one of the state’s most qualified, and leading senior ballet teachers. She trained with Beverley and Leigh Rowles in Wollongong, NSW. During this time she completed all RAD exams including Solo Seal. She is a registered RAD teacher, which has allowed the House of Dance to conduct exams in the studio from 2013. Shayne also takes private classical ballet coaching for dedicated students as well as staging a full length ballet once a year for HOD. Shayne is also the Artistic Director of the Tasmanian Youth Classical Ballet Company. 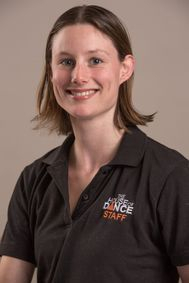 Shayne is currently completing a Bachelor of Dance Education through distance with the University of Bath. Dance has been part of Casey’s life since she was just 3 years old. 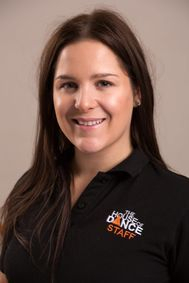 She has trained in Hobart her whole life, and been with the House of Dance since 2001. 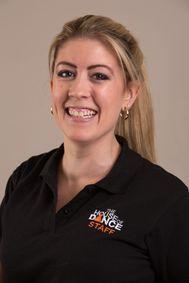 Casey begun teaching at the House of Dance in 2005 as an assistant teacher under Michelle Williams. Since this time she has been instrumental in the building of the Baby House program and training the very successful junior dancers. 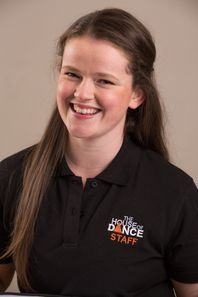 House of Dance plays a large part in Casey’s life, and she loves watching the little ones continually improve and grow before her eyes.She is an incredible mentor in and out of the class room. Casey has choreographed and performed in several Hobart shows and has developed a very successful musical theatre program at HOD. Casey has graduated university with a Masters of Teaching (Secondary) from UTas and a Diploma of Dance Teaching and Management from TAFE. During the day Casey teaches Dance and Humanities at the Friends' School. Emma has been involved in the performing arts since a very young age having commenced her dance training at the age of two. Under the guidance of teachers including Margaret Stirling and Kim Roe, Emma has completed RAD, BAL and ACB ballet exams as well as BAL jazz exams. In 2015 she completed her Diploma of Dance Teaching and Management and has just finished studying a Bachelor of Business at the University of Tasmania. Emma has been teaching for the past 9 years and is currently completing her RAD teacher qualification. Emma has been instrumental in the growth and development of the Angelina Ballerina Academy, teaching over 180 baby ballet students weekly. She has a passion for nurturing the love of ballet and movement in young dancers! Elizabeth grew up as part of the Tasmanian dance and theatre scene before training at The Mcdonald College of the Performing Arts in NSW for her final school years. She then went on to study Music Theatre, obtaining a Bachelor of Music from The Australian Institute of Music. After finishing school Elizabeth work abroad in various countries with small performance groups before spending 4 years at Disneyland Paris performing as a character, princess, dancer, show presenter and singer. Elizabeth returned to Hobart in 2013 to pursue a lifelong dream of studying medicine but couldn’t contemplate giving up dancing altogether. 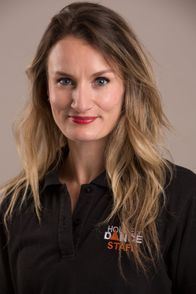 Coming to teach at HOD has brought her full circle back to her very first Tap teacher Nerissa Rice and she is thrilled to be part of the beautiful House of Dance family and Tasmanian dance community. She loves teaching and passing on her passion for tap and music theatre to her students as well as helping them to grow and enhance their performance qualities. 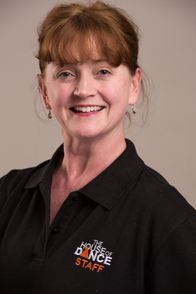 Susie is an experienced teacher in both ballet and pilates. Through her work in the pilates industry, Susie is able to teach dancers with a range of ability levels and injuries, and work with them to get the very best dance result possible. Susie is dedicated to ensuring all her students obtain a high level of care and support. 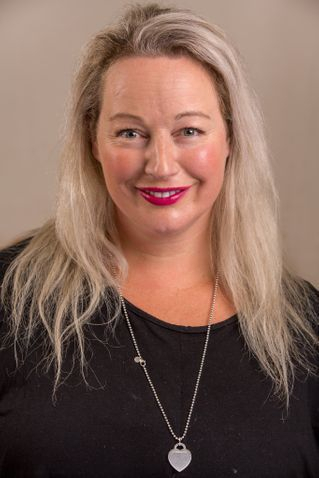 Susie is a full member of the Pilates Alliance Australasia, has a Diploma in Pilates and is a certified teacher for the Royal Academy of Dance.Susie also has a Bachelor of Dance(Hons). Lucie started dancing at 2 years old with her mother. Over the next 18 years Lucie trained in highland, tap, jazz, song and dance, ballet and contemporary and has travelled interstate and nationally to compete. Lucie started teaching dance by assisting her mother at Studio of National Dancing. When at high school Lucie became a dance teacher at Dancefit under the guidance of Teena O'Keefe. Lucie is a registered nurse and is currently completing her masters of teaching (primary) at UTAS. Lucie has a love for musical theatre and has performed in over 10 musicals in Launceston. Lucie has just finished choreographing the 2017 old Nick Uni Revue to rave reviews. Since commencing at HOD Lucie has met some beautiful students and loves having a dance with her friends in the open tap group! Hayley attended her first dance class at the age of five and since then dancing has played a big part of my life. Commencing my dance training at Body Language Dance Studio has had the opportunity to complete RAD Ballet exams as well as BAL Jazz exams. Also continuing to train at Jenina's dance workshop from 2010-2015. 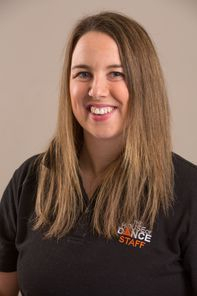 She first started teaching after school when in college at a non-competitive school in Hobart and began teaching at House of Dance in 2016, teaching our Pre-junior Elite class, Baby House and some of our younger eisteddfod soloists. Hayley loves to bring out each student’s own unique talents and helping them grow and improve as dancers. During the day Monday to Friday Hayley spends her day working as a Financial Planning Assistant at MyState Wealth Management.